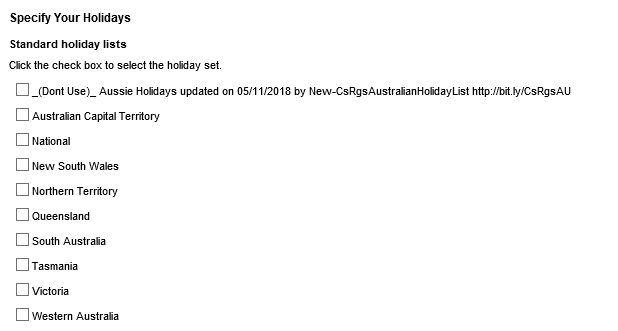 This is a script that adds/maintains the relevant Australian Holidays to your Skype4B / Lync environment for the next 12 months based on data available from the Australian Government Website. Data is taken from http://www.australia.gov.au/about-australia/special-dates-and-events/public-holidays and I have done my best to be as error free as possible. Shout of to Greig in Sydney for beta testing and providing the red pen. That guy would have made a brilliant English teacher. If you already have holiday sets with the name names or you need to add a country code. You can specify a string with the -RGSPrepend parameter to prepend to the Holiday set names. You can also use the script on a scheduled task to automatically pull and update the latest holidays on a monthly basis if your server has internet access. Simply specify -FrontEndPool <FEPoolFQDN> and -Unattended in the scheduled task. You can also still specify the -ServiceID and -Unattended parameters at the commandline if you want to specify the ServiceID directly. Note either of these options will disable script update checking. So it pays to check manually every now and again. After you have run the script, you can find the time frames in the Response Groups Editor, Simply tick the states you want the workflow closed for. Each of the states already includes the National holiday set, so there is no need to tick both. I’ve also added a new reminder feature showing when the script was last run in the RGS editor. Added a notification at the end of the script showing the last imported date. Update 09/10/2017 Released Version 2.0 with a Massive Overhaul, updated for 2018! Complete Rewrite of existing rule rewrite code , Should make for alot less red text! Fixed a few typo’s causing dates to be incorrect. You no longer need to “Reassign” the holiday sets to response groups anymore. Government department getting date formats wrong? never! Let me have a look. 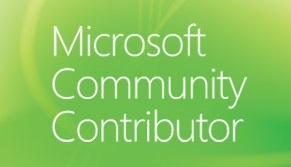 Edit, the date in the XML is correct. Also seems to work fine from my machine. Can you raise an issue on GitHub so I can try this? That’s a powershell function (.tolocaltime) which suggests your timezone or culture is set incorrectly. Many of my customers use this script and I haven’t had any reported incidents yet, but its something I’m looking at catching in future. Did you have any luck with the get-timezone or get-culture? Ji James – GREAT work, would it be ok with you if I created localized version for Scandinavia and published it ?